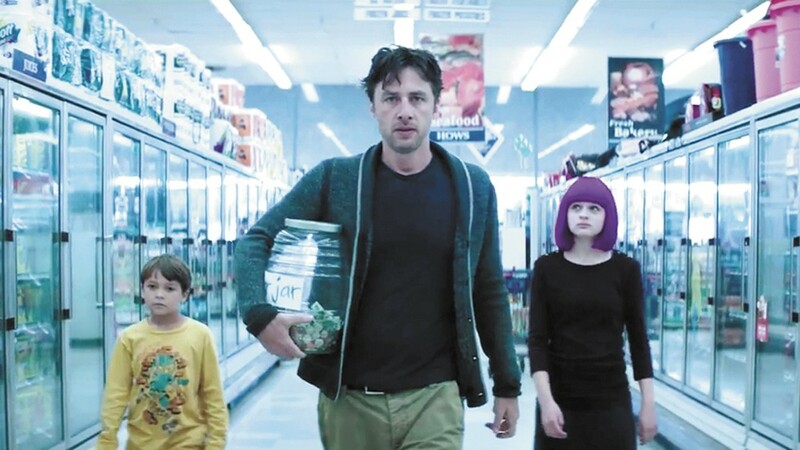 Lightning hasn't struck twice in the second film written, directed by and starring Zach Braff. Wish I Was Here, his first feature project since the decade-old Garden State, has Braff, this time co-writing with his brother Adam, creating and playing a character that's awfully similar to the one he played last time. Before he was called Andrew Largeman, and he was a struggling actor who comes back home and finds his first true romantic love. This time he's called Aidan Bloom, and he's a struggling actor who's happily married and has two kids. Sure, you're supposed to write about what you know, but there seems to be a bit of laziness going on here, especially for a film that required some $2 million in funding raised from Braff fans via Kickstarter. Eventually it doesn't matter, because the stories are far more different than the characters. Unfortunately, the story here isn't all that interesting. Neither are the characters surrounding Aidan. He's got plenty of problems of his own, some involving not being able to find an acting gig, and some, directly related, involving not being able to pay the rent. Maybe he's not even all that happily married. His wife (Kate Hudson, not given much to do here) is stuck supporting him with a dead-end job. His young kids are grappling with private school versus public school (those money problems). His brother (Josh Gad) is a smart but selfish sci-fi/comic-book geek with no social graces. Their dad (Mandy Patinkin, who does more with a small part than most actors could dream of) is a nasty piece of work who casually announces, "The cancer is back." There really isn't anyone to like in this movie, unless you feel the need to extend sympathy to the long-suffering mom. They're a bunch of unhappy people who aren't realizing their dreams, even if most of them don't know what they are yet. But amidst the feelings of isolation and loneliness, and a longing for spirituality (and Braff's constantly wide, staring eyes), the film has some funny sight gags, one of them involving a Segway, and some tender and believable scenes, usually when there are only two people on the screen, engaged in earnest and intimate conversation. Wish I Was Here is not showing in any theaters in the area.